Kim Clijsters returned to Arthur Ashe stadium at the US Open on Monday after two-year absence from tennis. Although she said she was a 'little more nervous than usual' she was still able to thrash Viktoriya Kutuzova 6-1, 6-1 for a first-round victory. 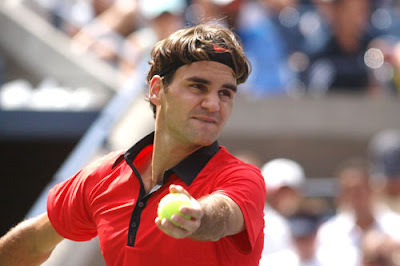 Roger Federer, chasing a 6th straight US Open title and 16th Grand Slam, overwhelmed American wild card Devin Britton, 6-1, 6-3, 7-5, in just 88 minutes. Following Federer and Clijsters on the centre court was Serena Williams, who walloped fellow American Alexa Glatch 6-4 6-1. 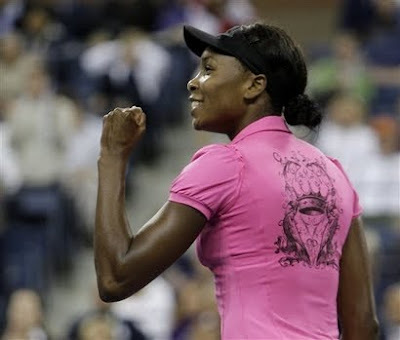 Her sister Venus was far from impressive and barely survived the match with Vera Dushevina. Venus won 6-7 (5-7), 7-5, 6-3. 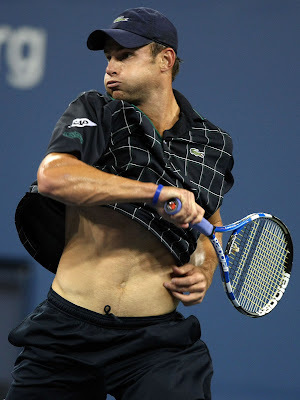 Andy Roddick closed Monday’s opening night with a 6-1, 6-4, 6-2 demolition of Bjorn Phau. 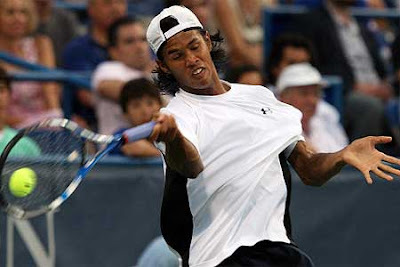 Before the Americans took their places under the spotlight, I need to specifically mention the double victories of Somdev Devvarman and Sania Mirza who posted first-round victories on opening day of the U.S. Open to become the first man and woman from India to reach the second round of the same grand slam event. Mirza defeated Olga Govortsova 6-2, 3-6, 6-3, and qualifier Devvarman beat Frederico Gil 6-3, 6-4, 6-3.